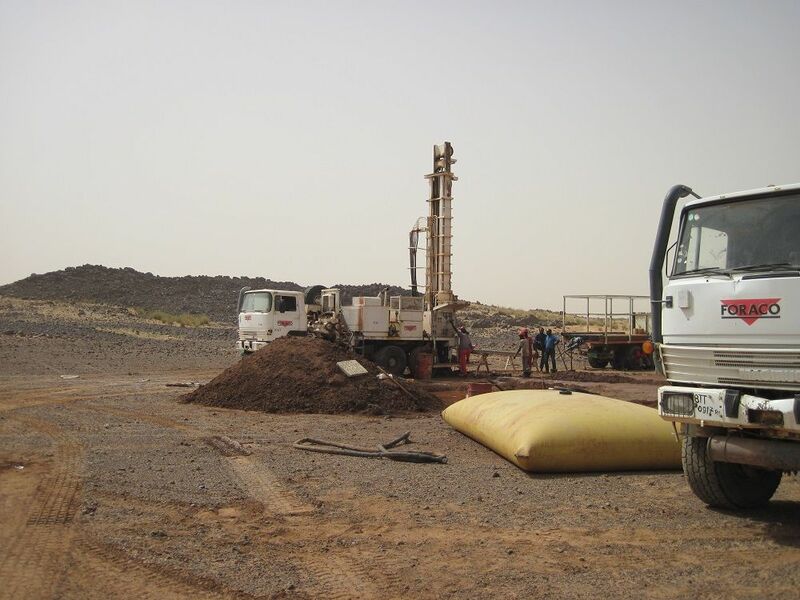 A transformational discovery of high-grade uranium in Niger has changed everything proponent Global Atomic Corporation (TSXV:GLO) previously thought it knew about the project. "Global Atomic's discovery changed the value economics of the DASA project entirely," executive VP Merlin Marr-Johnson told RESOURCEStocks. "We used to think we had a combination of shallow low-grade and deep high-grade mineralisation in the prolific Tim Mersoi Basin of Niger." 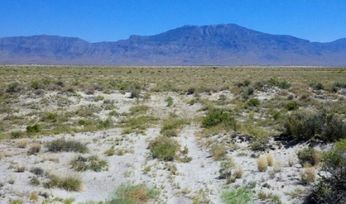 He said the original interpretation was that the deeper high-grade portion had been simply faulted lower, but the 2018 drilling defined a new Flank Zone of connecting, flat-lying sediments that connect the shallow and deep layers. Furthermore, it seems that the entire structure was capped by a mud stone that acted like an oil trap. "With good permeability pathways in the faults and sandstones, fluids ponded under mudstone, resulting in enriched uranium grades and there's nothing like it," he said. During 2018, Global Atomic drilled about 25,000m at DASA, targeting the Flank zone and then did a standard preliminary resource calculation using downhole survey assays. The probe-only tests returned strong estimated uranium oxide intercepts as high as 38,653ppm over 4.6m and 19,933ppm over 9.5m. A top hit came back at an estimated 54,101ppm over 3.3m. However, Global Atomic announced in January that geochemical assays not only confirmed the high-grade intercepts but returned substantially higher assay grades than the previously reported probe results. "We believe this was owing to a phenomenon called ‘radiation shielding', Marr-Johnson said. "We already knew that DASA was most important new uranium discovery outside of Saskatchewan in recent years, and the revised assay results will further improve the quality and the size of the deposit." Drill hole ASDH563 returned a significant intersection of 17,118ppm (1.71%) over 98m which was 135% higher than the previous probe-only estimate. Furthermore, the hole exceeded the laboratory assay limit of 17.62% uranium over an interval of 3.5m from 235.5-239m. Hole ASDH543 also intersected 6,919ppm (0.69%) uranium over 75m, which was about 37% higher than the previous probe estimate. "Based on existing probe data, we knew that DASA was a significant uranium deposit, however, the grades and widths reported will enhance the existing resource figures and we will calculate an updated mineral resource estimate as soon as all assays are received from the 2018 drill programme." Marr-Johnson said the exploration assays had been slow to transport, primarily owing to the high grades causing international shipping issues. "Outside of the Athabasca Basin, DASA grades are up to six times higher than the average of other. It is high-grade and large; and has 180Mlb in combined indicated and inferred resources at a cut-off of 200ppm, which is openpittable. That is even before the planned resource upgrade is published during the second quarter. "We are headed towards a resource of 300Mlbs. It is a significant long-life tier-one asset. It's also clean with no metallurgical issues. It has low molybdenum and vanadium content, it leaches well and preliminary metallurgical tests have suggested a 96% recovery is possible on a conventional flow sheet," Marr-Johnson said. According to Marr-Johnson, the only projects comparable in grade and size to DASA were in the Athabasca Basin, but a key difference were in their respective permitting timelines, which made DASA "the no-brainer". "Where permitting in Saskatchewan is likely to take decades, we are projecting a permitting timeline of months. Utilities can save the Athabasca Basin deposits for their grand children, but if they want real near-term production they have to look at DASA . It's an incredible story," he said. He added Global Atomic was enjoying strong political support in Niger, since uranium production formed a cornerstone industry of the economy. French nuclear firm Orano (formerly Areva) has been continuously mining uranium in the jurisdiction from 1971. But the historic mines at Cominak and Somaïr are nearing depletion, which has prompted government concern over its future revenue sources. "The depletion of the existing mines is a serious matter for the government of Niger," he said. "But we believe that DASA is part of the solution. Niger has three mills within a 100km radius of the project, two of which are owned by Orano Mining and a third partly owned by CNNC, and all of which have spare capacity. "We have signed a memorandum of understanding with Orano in 2017 whereby we could potentially achieve positive cash flow with minimal up-front capital by selling ore directly to them," he said. "In the long-run we would have to dilute down our high-grade ore to comply with safety standards." An October 2018 preliminary economic assessment on DASA outlined two possible development strategies. The PEA considered a standalone mine and mill development, envisaging an initial capex of US$320 million, producing 69.1Mlb of recovered uranium over 15 years at an all-in sustaining cost of $28.51/lb. Using a long-term price of $50/lb, it had a post-tax NPV of $299 million and an IRR of 25%. The alternate scenario outlined a mine-only plan, selling mineralised material to nearby Orano Mining for processing. This scenario has an initial capex of $35 million with the potential to ship 360,000t/y over a five-year contract, containing an average annual 2.8Mlb at an operating cost of $10.94/lb before transport and processing. Marr-Johnson believes this represents "a compelling case at current uranium prices". "We think the project works at the current spot prices, with decent returns." Global Atomic is working towards publishing a feasibility study within the next 12 months, which will trigger mine financing, construction and final permitting. 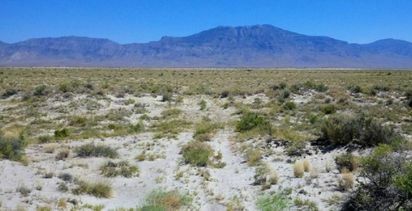 The feasibility, he said, would not focus on a superpit but initially only on a 12-15-year mine life at the high-grade Flank zone. "If the stars align, we will be in production by 2021." Marr-Johnson said the need for renewables was becoming more pressing in modern society, as the imperative for clean air and lower carbon emissions took centre stage. "Uranium has a place in the energy mix of the future." Global Atomic also has a 49% stake in the cash-flowing Befesa Silvermet Turkey (BST) operation that recycles zinc. "While zinc and uranium operations are perhaps not natural ‘bedfellows', it is proving a useful platform from which fund the ongoing uranium exploration, geotechnical and development work at DASA," he said. The operation collects dust from steel mills and roasts it to produce a zinc concentrate, which it sells on the market. The project is currently undergoing an expansion funded by the 2018 dividend payment. The project would resume production at an expected 60Mlb/y from the December-quarter onwards, a doubling of the current capacity. "The BST operation gives us financial optionality and will in the future help to finance DASA without coming back to equity shareholders," Marr-Johnson said. Over the past year Global Atomic's stock has ranged from C20c to C45c and it last traded at C33c on Friday. The company has about 141.6 million shares outstanding for a $46.66 million market capitalisation. Management, under the leadership of accomplished CEO Stephen Roman, and close associates hold more than 20% of the company's shares, while institutional shareholders include Canaccord Hargreave Hale at 7.5% and JP Morgan AM at 2.4%.